BT's chief executive has revealed that the company's fibre roll out has now passed three million homes – and outlined his hopes that changes to BT Vision will boost it past its current level of half a million subscribers. Critics would suggest that a failure to start a full scale fibre roll out, and the damp squib of BT Vision represent two of the communications giant's biggest mistakes in recent times. However, as the company announced an adjusted profit before tax of £496 million for the quarter, chief executive Ian Livingstone picked out both products for the future. "Our fibre roll out has passed three million premises and BT Infinity orders are now running at over 4,000 per week," said Livingstone. "BT Vision customers now stand at more than half a million, with more developments planned to enhance our offering. "Our share of DSL broadband net additions was 45%, one of our highest shares ever." The enhancement of BT Vision includes, of course, the looming arrival of the YouView service of which BT is a partner. 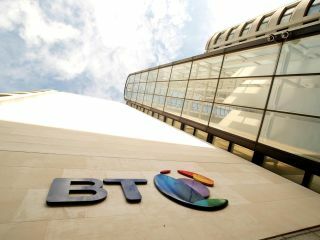 The IPTV service, which involves all the main terrestrial broadcasters, will hand Vision a major boost, with a hybrid BT service expected to be one of the market's most attractive packages. On the fibre optic front, although Infinity is beginning to get some purchase, BT still lags well behind the cable giant Virgin Media – a company that has benefited hugely from rolling out and buying fibre optic network. It's been a positive week for BT, hitting 2 million WiFi hotspots, and winning the respect of techies everywhere by getting a judicial review into the controversial Digital Economy Act.